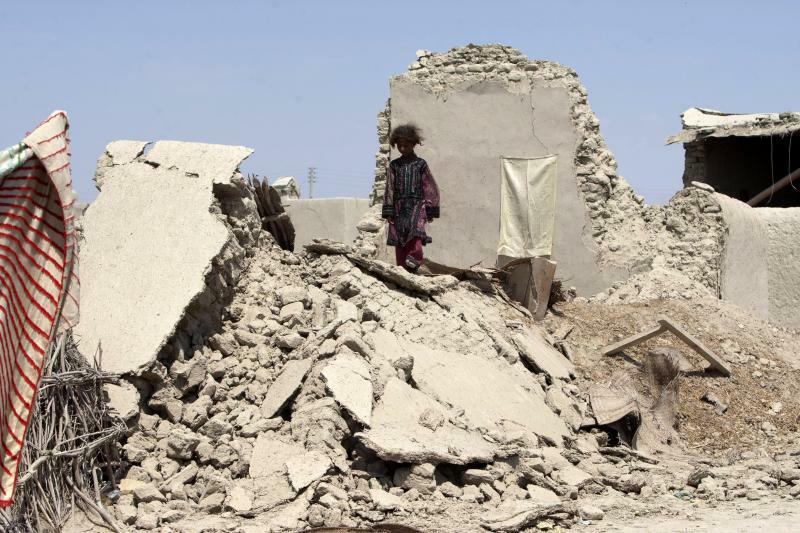 KARACHI, Pakistan (AP) — Alongside the carnage of Pakistan's massive earthquake came a new creation: a small island of mud, stone and bubbling gas pushed forth from the seabed. 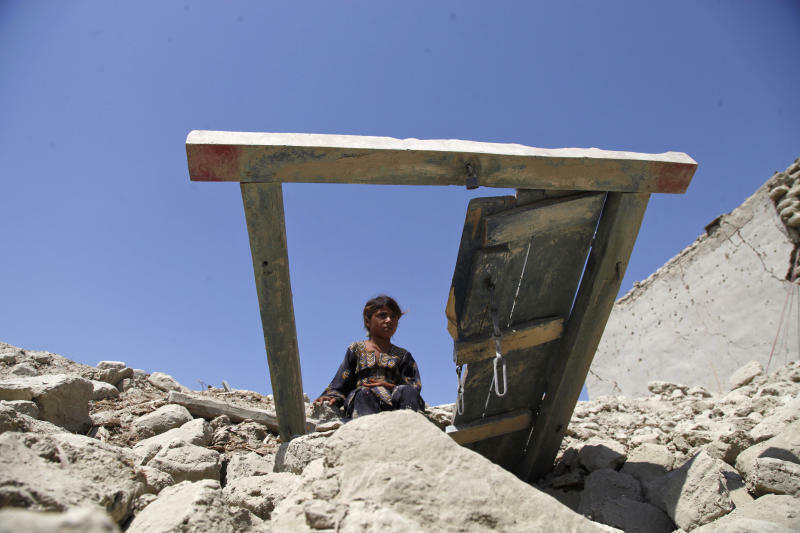 Experts say the island was formed by the massive movement of the earth during the 7.7-magnitude quake that hit Pakistan's Baluchistan province on Tuesday, killing at least 285 people. "That big shock beneath the earth causes a lot of disturbance," said Zahid Rafi, director of the National Seismic Monitoring Center. The island appeared off the coast of Gwadar, a port about 330 miles (533 kilometers) from Pakistan's largest city of Karachi and 75 miles (120 kilometers) from Iran. Navy geologist Mohammed Danish told Pakistan's Geo Television that a Pakistani Navy team visited the island Wednesday. He said the mass was about 60 feet (18 meters) high, 100 feet (30 meters) wide and 250 feet (76 meters) long, making it a little wider than a tennis court and slightly shorter than a football field. Such islands are not entirely unusual to scientists who study the earth and its sometimes violent movements. Marco Bohnhoff, a professor of seismology at the German Center for Geosciences in Potsdam said there are two ways such islands can be created. In the first scenario, the earth's crust violently lifts up out of the water. In the second, the earthquake triggers the movement and release of gases locked in the earth resulting in a flow called a "mud volcano." Experts are still trying to determine what caused this island, but it could have been a mud volcano, Rafi said. Scientists will have to analyze the material to see what it's made of. The island's appearance electrified people along the coast who flocked to the beach and took to boats to visit the island, despite warnings from officials who worried about gas emanating from the island. The deputy commissioner of Gwadar district, Tufail Baloch, traveled by boat to the island Wednesday. Water bubbled along the edges of the island, in what appeared to be gas discharging, Baloch said. He said the area smelled of gas that caused a flash when people lit cigarettes. Dead fish floated on the water's surface, and local residents took stones from the land mass as souvenirs, he said. Unlike lava volcanoes that harden when they come to the surface and cool, mud volcanoes generally don't create steep or hard rock structures, Bornhoff said, although they can last for long periods of time. Such land masses have appeared before off Pakistan's Makran coast, said Muhammed Arshad, a hydrographer with the navy. After quakes in 1999 and 2010, new land masses rose up along a different part of the coast about 175 miles (282 kilometers) east of Gwadar, he said. Each of those disappeared back into the sea within a year during the stormy monsoon season that sweeps Pakistan every summer, he said. Santana reported from Islamabad. Associated Press writer Asif Shahzad in Islamabad also contributed to this report.